Buellton, California— The holidays are a time for family and celebrations. So it isn’t any surprise that the Dietenhofer family, owners of Figueroa Mountain Brewing Company, celebrate their company’s anniversary the Saturday after Thanksgiving each year. It’s the perfect day to bring families together to celebrate the Santa Ynez Valley and the craft beer community. This year their 5th Anniversary party and bottle release will be held on Saturday, November 28, 2015 from 1:00 PM to 9:00 PM with food, contests, specials, a bottle release and live music at their flagship brewery and taproom located at 45 Industrial Way in Buellton, California. As part of the anniversary, Figueroa Mountain Brewing Company releases a special barrel-aged 22-ounce bottle of beer to commemorate the occasion. This year they will be releasing a doppelbock aged in rum barrels available for purchase by the bottle, glass or special Anniversary Gift Pack (2 glasses, an anniversary t-shirt and bottle). Eight-ounce pours are $10.00 or you can “steal the glass” for an extra $2.00. 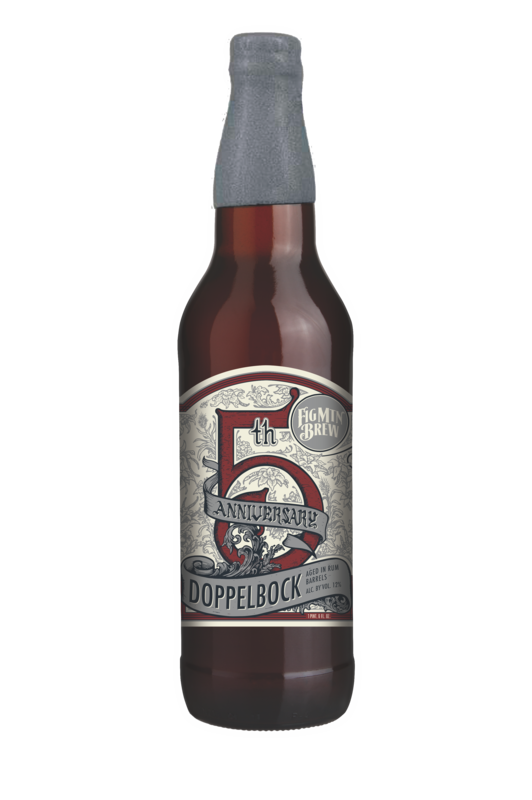 Fig’s 5th Anniversary Doppelbock has a rich, malty sweetness that melds with a subtle toasted character from traditional Munich malts. Complex notes of caramel and toffee pair with vanilla aromas from barrel aging to create a beer worthy of celebration. To accompany the hefty 12-percent alcohol-by-volume, Fig will be offering food throughout the event. Georgia’s Smokehouse will sell their famous barbeque from noon to 3:00 PM and Giorgio Curti’s Hooked on Meat will sell porketta (pork belly) sandwiches and brisket or vegetable sliders from 3:00 PM to 9:00 PM. Admission to the celebration is free. For a complete list of events or for more information about Figueroa Mountain Brewing Company, their taprooms and beers, please visit www.FigMtnBrew.com/Anniversary. High Resolution Photos and Interviews Available Upon Request. About Us: Figueroa Mountain Brewing Co. was founded by father and son team, Jim and Jaime Dietenhofer, in 2010. With a passion for craft beer, they set out to pay homage to the beautiful Santa Ynez Valley with handcrafted beer and hand-drawn artwork depicting the local landscape on their labels. There are currently five taprooms along the Central Coast of California with one more to open soon in Westlake Village. Figueroa Mountain Brewing Co. beer can be found in their taprooms or at select retailers and restaurants throughout California. Learn more about @FigMtnBrew or where to find their beer at www.figmtnbrew.com. Company: Figueroa Mountain Brewing Co.